Cincinnati footballer Fernando Ali has expressed his desire and willingness to feature for the Super Eagles. 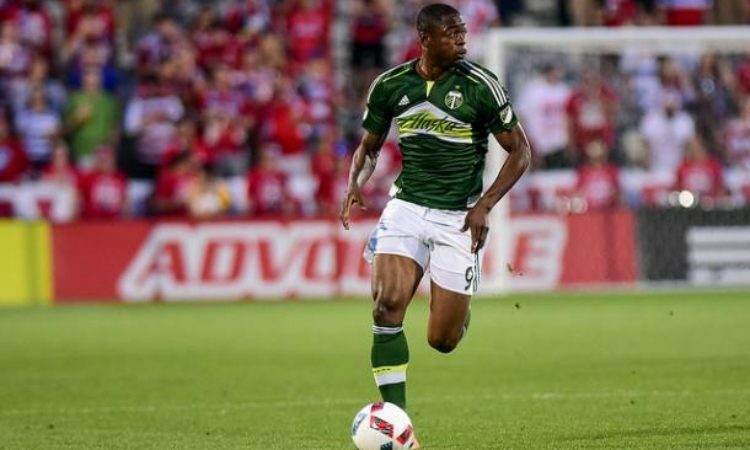 The Nigerian footballer who plies his trade in the USA made this disclosure in an interview with the media. He said: “I am ready to serve my father land, I am very optimistic and hopeful that an invitation is going to come my way as long I am consistent with my performances”. The Forward recalled his past experience with former Nigerian trainer, said: “Having played before in the Senior National Team under the tutelage of Coach Samson Siasia which I did my best at that time”. The Cincinnati forward further said: “for me representing my country in its National colours is more of a fulfillment for me, career wise. I am proud of my country, i am proud of where I come from, I love Nigeria, I would not hesitate or think it twice when it comes to serving my country . I am a big fan of the Super Eagles and I always watch them, and if an opportunity plays out for me, to be called up again, I am a 100 percent ready for that. The American based player concluded by saying, i will keep my fingers crossed and remain positive.